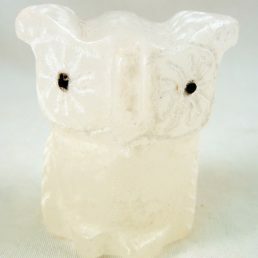 According to ancient Native American Indian beliefs, stone animal fetishes were thought to be a source of aid to a particular person, family or tribe in a time of need. 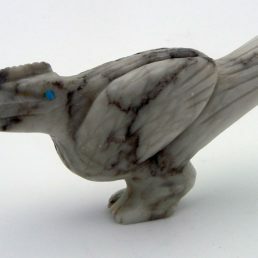 The shape of carved stone animal fetishes often determined the kind of aid a fetish would provide. 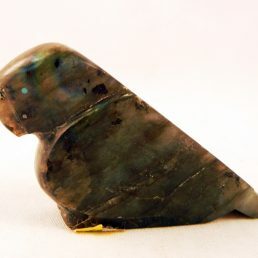 Browse our authentic Native American Indian Stone Fetishes. The Isleta Pueblo Indians have six Guardian Fetishes who were commanded by the Great Spirit to protect their people. Each Guardian Fetish’s power was to be taught by one of the clans. 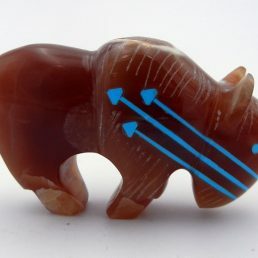 These same animal fetishes have similar associations and powers among other Pueblo peoples. Mountain Lion clan teaches cunning and resourcefulness. Bear clan teaches the power of our physical bodies and strength of our souls. Bob cat clan teaches attentiveness to the wind for safe passage. Wolf clan teaches love and respect (for elders) as a wolf cub offers its parents upon their arrival to the den after hunting. Eagle clan teaches constant awareness of our surroundings. Badger: Aggressive and persistent, a healer. 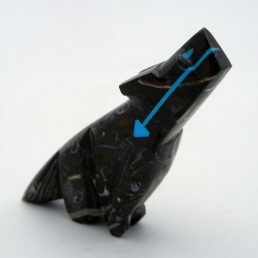 Badger is the Zuni protector of the South, associated with red. 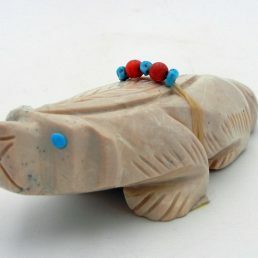 These same animals are often used as motifs and designs in Native American pottery. 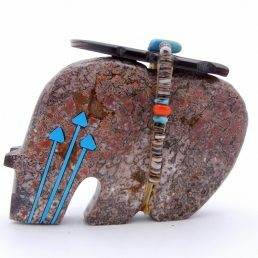 Palms Trading Company carries an excellent selection of Native American Indian carved stone fetishes from the Zuni, Isleta, and Navajo Pueblos. 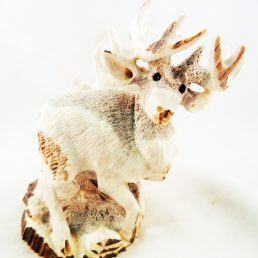 These fetishes are hand-carved from various gemstones or animal antlers. 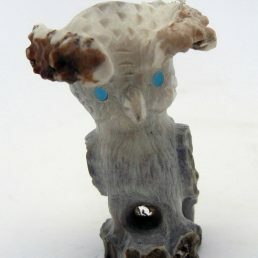 We buy each fetish directly from the artist, so it is guaranteed authentic Native American Indian art. 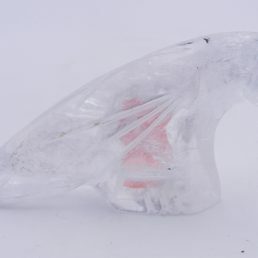 If you are looking for a particular stone or animal but don’t see it online, please contact us to use our personal shopper service.